This week in history as reported by the Summit County Journal 100 years ago, the week of Oct. 13. Another shipper from Mineral hill this week was E.E. Miller & Co., who made a shipment of high grade lead-sulphide from their lease on the Minnie. This was the best grade of any taken to the sampler for a number of years. It was taken from some of the older workings on the Minnie property. One piece, said to have weighed about 300 pounds and to have been about 6 inches thick, was taken from one of the loads to be taken to Denver for exhibition. This piece of lead ore was a reminder of the early days in the mining history of Breckenridge when several leasers were taking out this grade of ore all the time from the rich surface pockets. During the past few years the rich surface strikes have been very few, th camp depending more on the increased output from the less rich ore at greater depths. An American patrol boat has fired upon an Italian submarine, which failed to respond to signals and killed one officer and an enlisted man. Secretary Daniels has expressed the regrets of the U.S. Army. As a result of mistaking strychnine for headache tablets, Mrs. Praxcedis Trigillo and her daughter, Mrs. Maggie Madril, are dead. Miss Eleanor, the daughter of Irving H. Chase, was married to Sergt. Maj. Charles Phelps Taft, II, USA, son of William H. Taft and Mrs. Taft of New Haven, Connecticut. The ceremony was at Rose Hill, the home of the Chase family. Flags predominated in the decorations. Rev. Robert E. Brown, pastor of the Second Church, officiated. 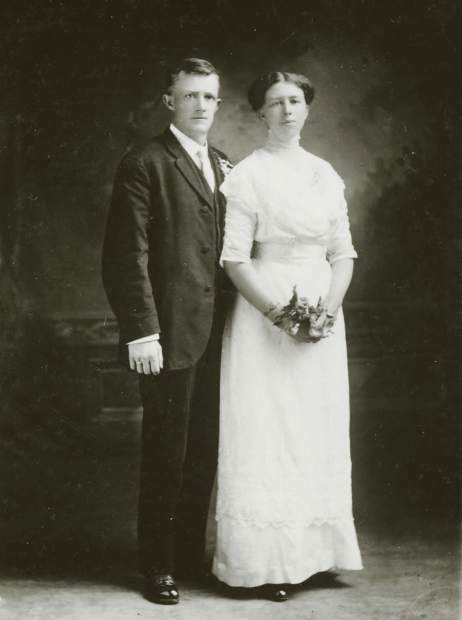 The bride was given away by her father, Irving H. Chase. More than $700 was added to the relief and tobacco funds of soldiers in the United States and the allies at the concert and ball held at the Denver Auditorium theater in honor of the officers of the regular army and the Colorado National Guard.